​Every year, the Las Vegas sports books release their predictions for the next season and the world assumes those numbers are locks. They think Vegas knows something we don't and is therefore infallible. News flash: sometimes the house is wrong, too. Point blank, the Westgate Las Vegas sports book's projected win totals for the 2018-19 NBA season drastically overestimates Oklahoma City's potential this season while totally disrespecting the rebuilding Chicago Bulls. The Bulls haven't been worth watching since before Derrick Rose told us he wanted to be able to walk at his son's graduation, but the dog days are over in the Windy City. There is finally a collection of young and intriguing talent that fits the modern NBA. Lauri Markkanen silenced all his critics by being named First Team All-Rookie this summer, and is now matched in the frontcourt by a player in Wendell Carter Jr. that everyone is comparing to Al Horford. 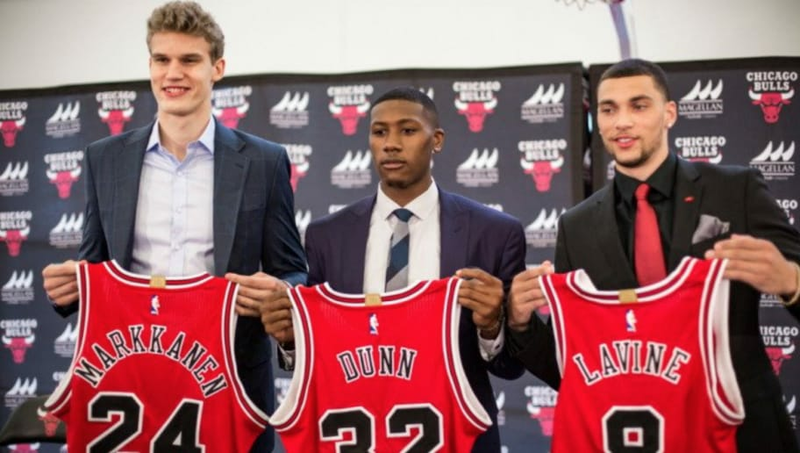 They bring back a healthy Zach LaVine and add Jabari Parker who, like LaVine, is purpose-built to get buckets. Without Carter and Parker entirely and forced to make do without LaVine for much of the season, Chicago still managed to win 27 games last time around. Vegas is projecting them to win the exact same number of games in 2018-19. Nonsense. ​The Bulls should improve by somewhere between five to 10 games this season. Vegas set some over-unders on NBA season win totals Sunday. Out west, yes, Oklahoma City got rid of ​Carmelo Anthony, who did absolutely nothing to help the team last season. His departure is surely an example of addition by subtraction. But whoever thought the Thunder would win more games this season must think Jerami Grant is the next coming of Shawn Marion. LeBron James is now in the Western Conference. DeMarcus Cousins joined the best team around. The Utah Jazz, Minnesota Timberwolves, Denver Nuggets, Phoenix Suns, Dallas Mavericks and Memphis Grizzlies all undeniably either improved their rosters or improved as a result of continuity and development of their young stars. Las Vegas might get their own NBA team in the not-so-distant future, but in the meantime, they should just stop trying to figure out how the season will go.